Fulfilling a 30 year dream, lifetime farmer Jeff Gargiulo and his wife Valerie purchased their first vineyard in 1992. Seven years later they purchased a second property. Their commitment to world class Cabernet Sauvignon started with their commitment to the land. As a farmer, Jeff knew the best grapes would only grow on the best land. 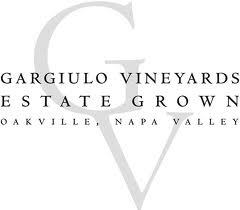 Today, Gargiulo Vineyards is among the most highly regarded Cabernet Sauvignon producers in Napa Valley.